We lend a helping hand by refining labelling ideas and setting up realistic goals. Do you know which material to use? Or which adhesive is correct for your requirements? Why do the labels look different from the proofs? Why were the labels sticking at first but now they are lifting? What print technology is the most cost effective for my label range? In reality you don’t care how the label is printed, or why your artwork is problematic. You just want to know that your labels are arriving on time and that they are going to be right. Not all label printers go to the great extent that we do to ensure we understand your criteria. Many label printers will also only work with companies on a minimum order quantity. This isn’t the case for us at Labelservice; we provide a service for all companies, any sized orders and any requirements. Our objective is to use our 25 years’ experience to create the best bespoke and custom labels that meet the needs of your business. Let us take the hassle out of the order process for you today. With our extensive experience as a leading label manufacturer and label supplier, our dedicated team is committed to ensure that we deliver high quality and innovative labeling solutions to suit your unique business needs. Whether your business needs chemical labels, booklet labels, food labels, drink labels or beer label, Labelservice are very proud of our website and our online catelogue boasts over 300 different product labels for you to choose from. Since each business has a unique marketing strategy, we offer highly customised labeling solutions that reflects our clients’ brands and business image. We take pride in offering exceptional services for challenging products such as custom labels. When producing personalised labels, we ensure that creativity is perfectly balanced with quality and cost. Our design team is available around the clock to help customers refine their designs and can also come up with customised designs from scratch. Our flexibility enables clients to have the final say on their label designs without affecting the turn around time and delivery deadlines. Even though the labeling industry is highly competitive and fast paced, we have managed to stay ahead of our competitors because of our extensive experience as a label manufacturer, supplier and printer. We print labels digitally as well as flexographically, depending on the custom nature of your order. Our bespoke labeling expertise has been perfected after experience of many years serving various industries and manufacturers including pharmaceutical, beauty, chemical, food, soft drinks and beer industries. A good proportion of what we print are product labels for our clients’ products, such as bottled drinks, food labels and cosmetics labels are just a few examples. With the latest state of the art production facilities, we are able to supply large volumes of digital and self adhesive labels of various types and sizes using high quality materials. And no matter how complicated your labeling requirements may be, our specialists are more than capable of delivering the required labels within your specified timeframe. We also have the capacity to do personalised label orders, both on short or long run prints. Speaking to you in plain English, from design to delivery we advise on every step of the labelling process. Whether you are a small, medium or large business, we cater for every type of label you will ever need – and they can all be found on this website. With over 300 different product labels on the site we boast around 5 images per product to view. Have a good look through the range today! 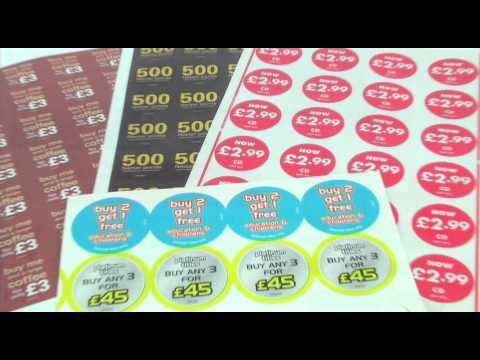 Digital labelling is the fastest growing area of self adhesive labels. Minimal set up means the technology is perfect for short run jobs, printing without plates means multi sort runs are now achievable without a prohibitive cost, whilst variable and unique coding can also be featured. We are major suppliers of both chemical supply and manufacturing (CHIP and GHS) labels, as well as product and retail work. Industries served include adhesives, paints, agrochemical, car care, lubricants, sealants and many more. We offer a vast array of labels for all types of food labelling. Dealing with large manufacturers, small artisan producers and everyone else in between, we truly are a one stop shop for any food label requirements.